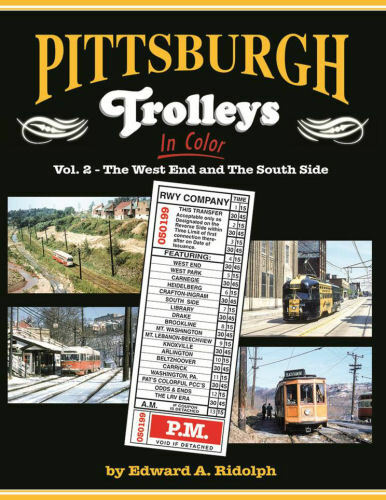 Pittsburgh’s South Hills and West End districts, as well as Washington, Pa., are featured in this look at the once extensive Pittsburgh Railways and Port Authority Transit trolley lines that served these areas. Standard cars, PCCs, and LRVs are all highlighted in this decades long coverage of Pittsburgh’s rail transit. Hard cover.